I cannot stay silent. This year in American politics has been anything but ordinary. You may certainly find aspects of any or all current candidates for President of the United States not to your liking or even down-right scandalous. You may be thinking you are in a quandary morally speaking because you cannot decide on a candidate that fully deserves your vote. But to suggest that in a democracy, which many men and women over many years fought to preserve, the prudent thing to do is abstain from voting and stay home on election day is DEAD WRONG. It is poor stewardship and a rejection of one’s responsibility to be a faithful citizen. My oldest son just turned 20. It will be his first chance to vote in an US Presidential election. I cannot believe he is hearing former and current national leaders, as well as some voices in the Church, say they plan to abstain from voting. Yes, you can write-in someone’s name for an office and that is a perfectly legitimate way of exercising one’s right to vote. But some of the voices out there are not even advocating that. I continue to urge my son to see that it is his duty to vote and tell him that no one ever promised that each election there will be someone who is a clear choice for him. My father was in the Navy during WWII. 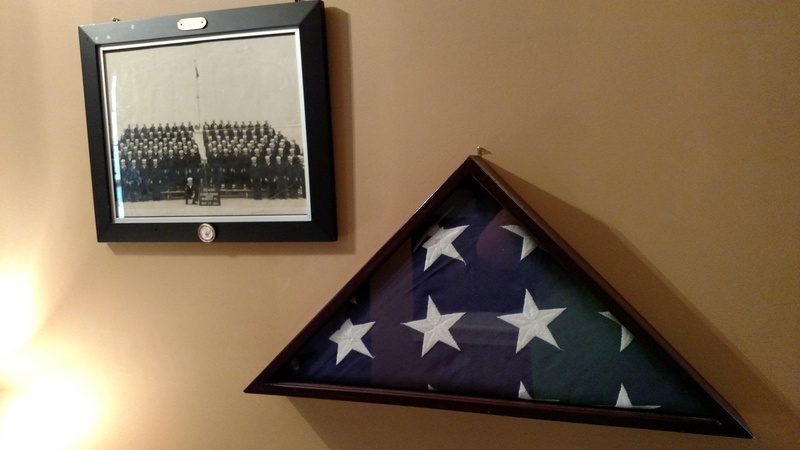 The American flag from his funeral hangs in a case by my front door. I am reminded each day of what it takes to assure liberty and freedom. Yes, my conscience is troubled because as a Catholic and a Christian I do not see a named candidate that fully supports my values. But I will not tell those risking their lives in places like Iraq and Afghanistan that I will abstain from voting. I will not tell the families I know that miss their loved ones serving in far away places that I will abstain from voting. And I will not face that American flag each day I walk through my front door and abstain from voting.